FTF President Thierry Ariiotima with General Secretary Moeama Mu-Grieg. The OFC U-17 Championship in Tahiti marks the biggest international football event to hit the island nation since the FIFA Beach Soccer World Cup in 2013. Now less than two weeks out from the youth competition, Federation Tahitenne de Football President Thierry Ariiotima, has outlined the federation’s development plans for the nation. Looking at the short term goals for the federation, winning this month’s OFC U-17 Championship is right up there in the list of priorities. “We missed out on the futsal, we missed out with the national team, and we missed out on the U-20s. The U-17s absolutely have to win this tournament,” he said. FTF also boasts seven different national teams for which it provides support and backing when competing on the regional and international stage. The beach soccer team, the Tiki Toa, have risen steadily up the world ranks and are regulars at the FIFA Beach Soccer World Cup where their previous campaign saw them finish second. Ariiotima believes Tahiti has the potential to feature at every world cup, but said one of the major factors hindering the nation is distance. “I am constantly bringing this up to FIFA. To play a friendly match, it’s at least five or six hours flying, while for other countries in Oceania it can be just a two hour flight to get to another country, and the tickets are three times cheaper,” Ariiotima explains. The support of national airline Air Tahiti Nui has helped the cause somewhat, with the Tiki Toa benefiting enormously from the partnership. Across French Polynesia, football remains one of the most popular sports in terms of its popularity both among fans and the number of people playing. Across the disciplines – football, women’s football, futsal and beach soccer – 13,000 players are registered with FTF, and the plan is for those numbers to increase. “In terms of women’s football, our obligation is to double our numbers,” he said. “I have said to our technical director that we absolutely have to develop women’s football. We launched the senior championship and the U-16 championship and they both went well. Ariiotima says the women’s game is a major priority for FTF as well as FIFA. “We can’t forget that FIFA has encouraged the 211 Member Associations to develop women’s football from a sporting perspective, but also from an administrative point-of-view,” he explained. 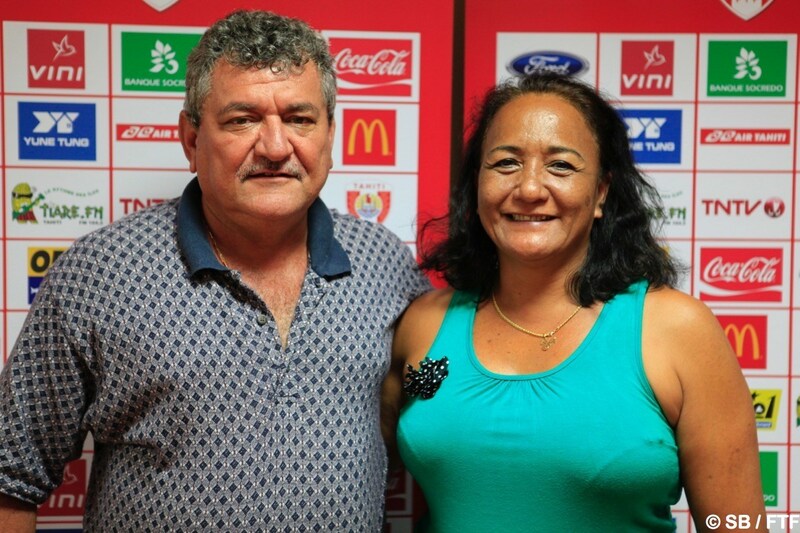 Working more closely with clubs is another priority for the federation, and as a club president himself, Ariiotima is well versed in the issues facing Tahiti’s clubs. “I know very well the problems that club presidents are encountering at this time. When we discuss things collectively we always come back to the same problem – finances,” he said.